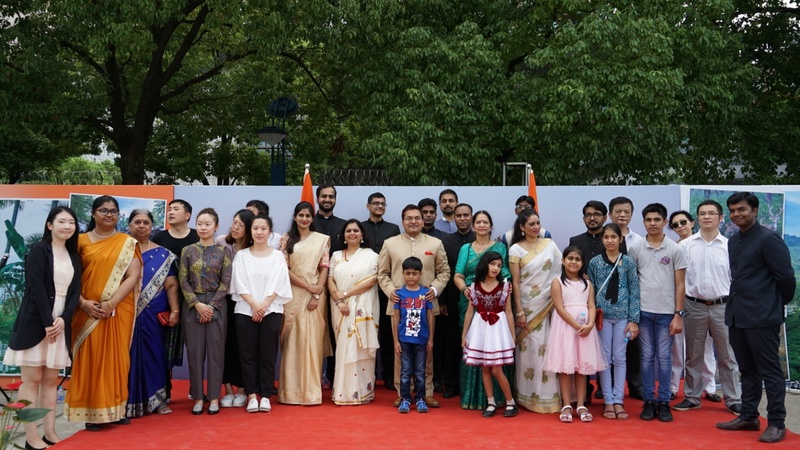 A special Event was organized by the Consulate General of India, Shanghai to Commemorate 72nd Independence Day in Shanghai today. 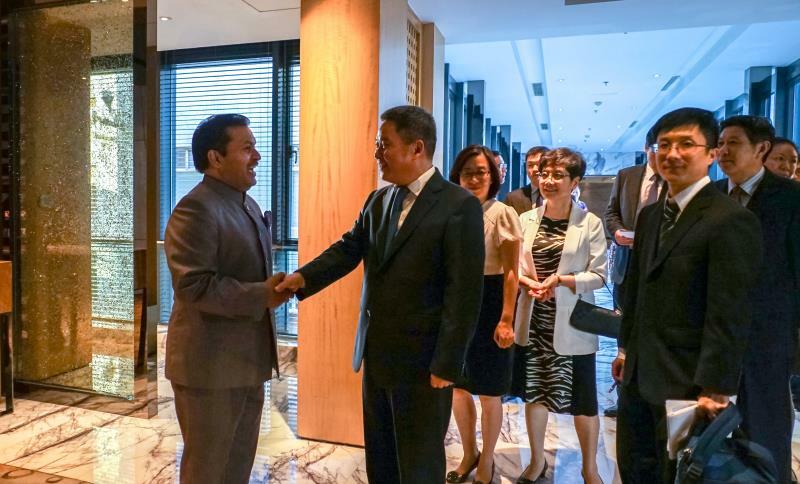 The Consulate hosted a reception at the Renaissance Shanghai Yangtze Hotel. 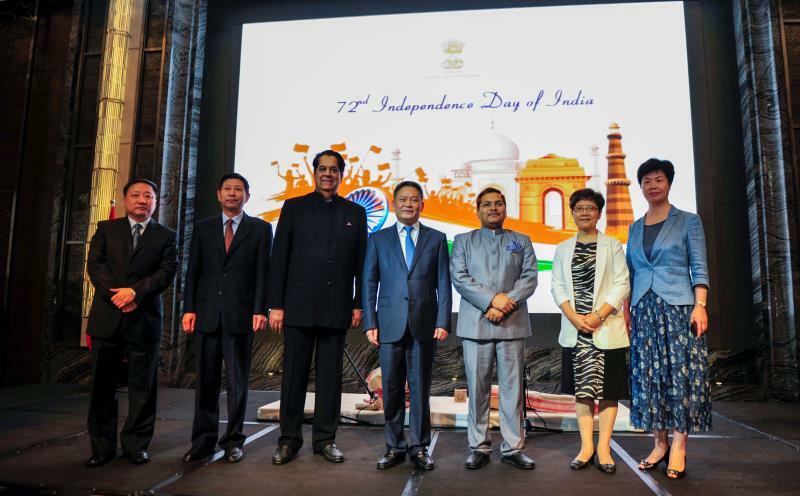 Vice mayor of Shanghai, President of the New Development Bank, CPPCC, Representatives of Foreign Affairs Offices from Eastern China Region, CCPIT, members of the diplomatic corps, dignitaries, business persons; film and art fraternity; media; and prominent Indians from the Eastern China region attended the reception. 2. 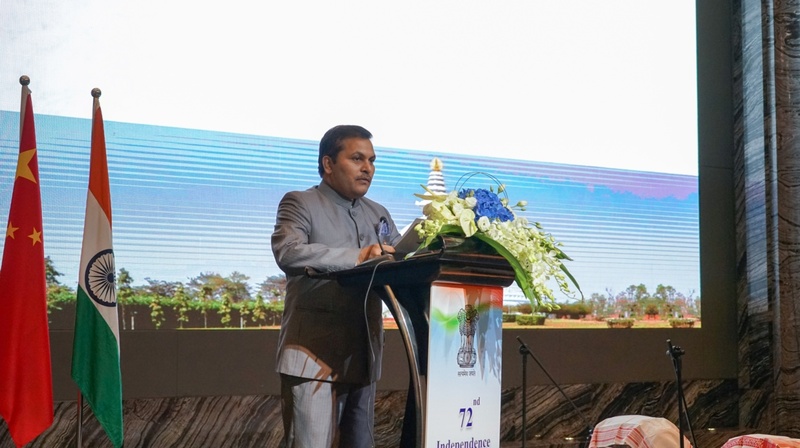 Consul General in his remarks extended a warm welcome to all and spoke on rapid growth of Indian economy, investments and developments in the Social sector. He pointed out that the leadership and the people of India are working hard to achieve and maintain a transformative growth trajectory. 3. The evening also witnessed a traditional Indian music performance by two talented Indian artists, Monit Paul on Sarod and Rishabh Dhar on Pakhawaj. The audience got a taste of the soulful rendition of Classical Indian music. Later, a diverse spread of Indian food was also served to the Guests, to showcase India’s vast diversity and rich culinary traditions. 4. 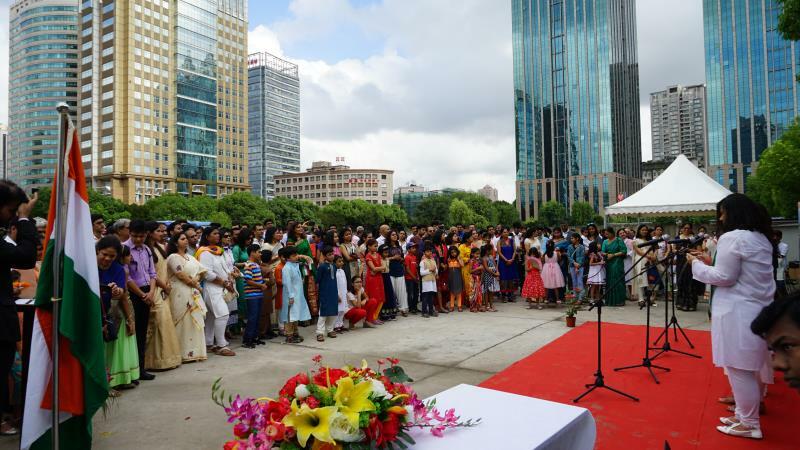 Earlier in the morning, a flag hoisting ceremony was held, in which more than 300 members of the Indian community and students from Eastern China region participated. 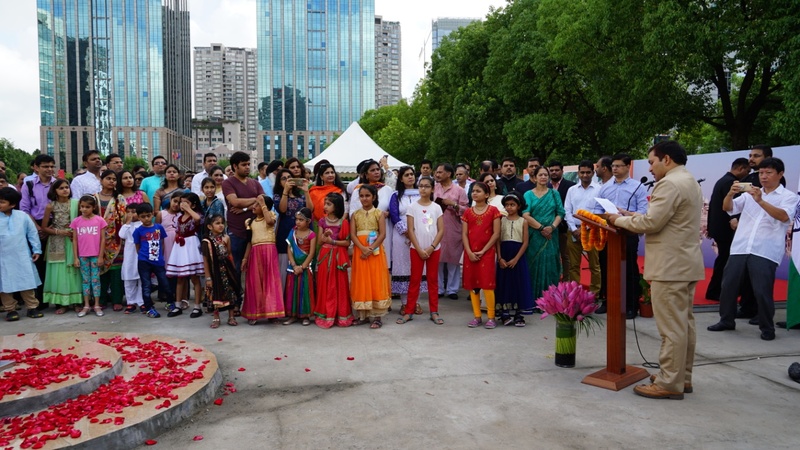 Consul General unfurled the National Flag and read out excerpts from the Hon’ble President’s address to the Nation. 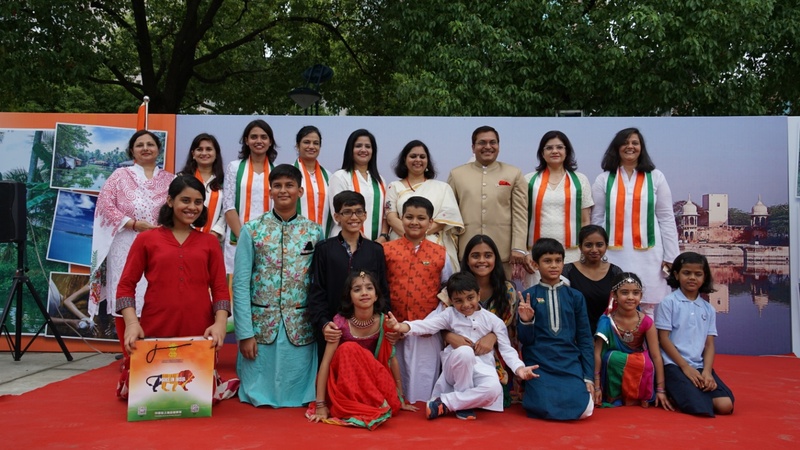 Indian community presented a variety of cultural performances including singing of patriotic songs, dances and poetry recitals to remember the contributions of the brave forefathers of the Nation.